Suffering from brain-fog, irritability, cardiovascular disease or depression? If so, you may be contending with heavy metal poisoning. Present in contaminated food, industrial and medical waste and beauty products as well as environmental pollutants, heavy metals are a major part of daily life and wreck havoc on our minds and well-being. Recurring infections - Since heavy metals displace important vitamins and minerals in the body - especially zinc, the immune system weakens, which effectively sets the stage for infections, cancer and chronic disease. Neurological disorders - Alzheimer's, ADHD, autism, aggression, epilepsy, memory loss, developmental delays, depression, anxiety, bipolar disorder, insomnia and migraines all have roots in heavy metal toxicity. Heart arrhythmia, high blood pressure and cardiovascular disease - Research suggests high levels of lead in the blood contribute to artery-clogging plaque - leading to elevated blood pressure and heart disease, while airborne particulates of mercury encourage heart arrhythmia. Sensitivity to electromagnetic fields (EMFs) - Brian Clement, a naturopath with a doctorate in nutrition, explains: "If your cells contain metal, they will attract and enhance electrical frequencies like a lightning rod, which makes them more likely to develop EHS symptoms. In short, the more your body contains heavy metals, the more you'll have health problems with EMFs." Other indicators of poisoning include migraines and headaches, dark circles under the eyes, muscle tremors, sensitive teeth, inability to lose weight, acne, parasites, low body temperature, metallic taste in the mouth and chemical sensitivities to smells like smoke, paint fumes and perfumes. If you have experienced any of the above symptoms, a simple hair mineral analysis or urine test can accurately confirm the presence and ratio of heavy metals within the body. Chlorella and spirulina - Binding to mercury, arsenic, cadmium and lead, spirulina and chlorella are an excellent choice for removing heavy metals. Moreover, chlorella not only attracts harmful metals but also encapsulates the toxins, thereby preventing reabsorption in the digestive tract. Zeolite - With exceptional magnetic attributes, zeolite is one of the best methods for eliminating troublesome metals. At the University of California in Los Angeles, eleven healthy participants were given zeolite for 30 days. 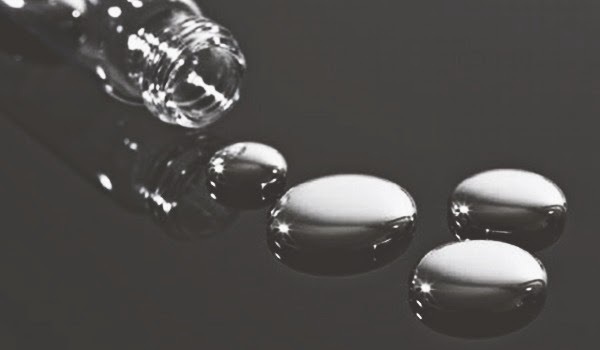 At the conclusion of the study, researchers noted a significant reduction in heavy metal concentrations, without any negative effect on vital electrolytes. Cilantro - Dr. Yoshiaki Omura, director of medical research at the Heart Disease Foundation, discovered that lightly cooked cilantro causes mercury to be flushed from the system via the urine. Dietrich Kinghardt, MD, PhD, has found through his clinical research that 5 grams (1 teaspoon) of cilantro per day is the minimum dose. For a detoxifying tea, pour 1 liter of boiling water over at least 8 teaspoons of chopped cilantro. Cover and let steep for 20 minutes in a non-reactive container like Pyrex or CorningWare. For effective detoxification, consume the tea for at least two to three months.